Appetizing kozhi varuval exclusively prepared in chettinad recipe will be enjoyed by all non-vegetarian lovers. Easy to prepare with few ingredients and less effort. Without any cutting, chopping, grinding especially no oil no heavy masala (grill cooked) curd is added to soften the marinated chicken when cooked. 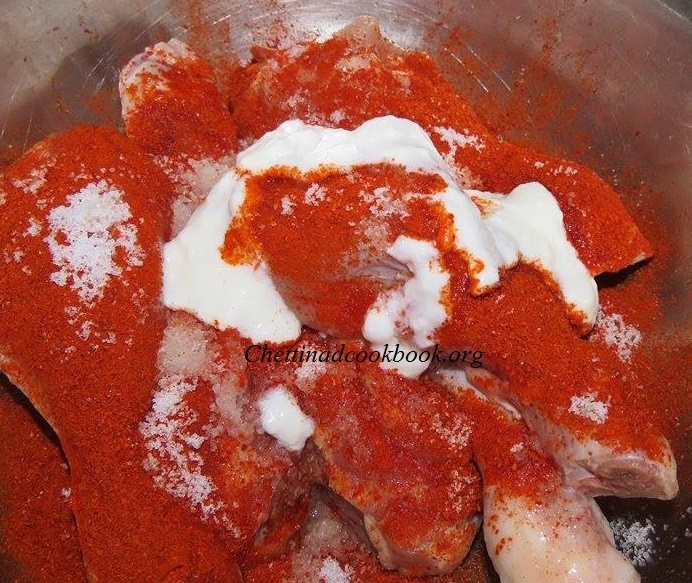 If you prefer to shallow fry this same marinated chicken can be done. 1. 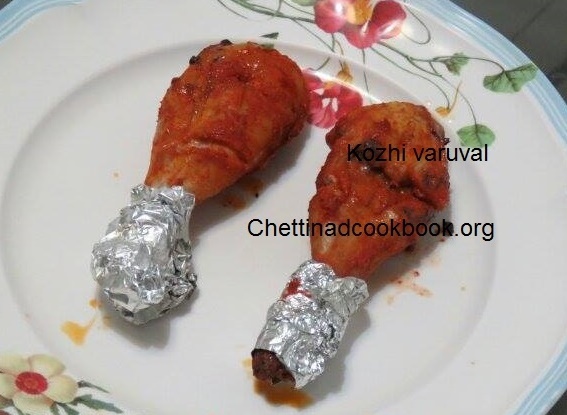 Clean chicken drumstick or pieces peel skin, make two or more slits on it so that the marinated ingredients get stuffed inside well. 2. Marinate with the above-given ingredients mix well and set aside for 2 hours. 3. Preheat the oven for 10 minutes, grill marinated chicken at 180 degrees for 25 minutes. 4. Remove carefully out of oven, wrap its down part with aluminium foil, squeeze some lemon on top and serve round cut onions. 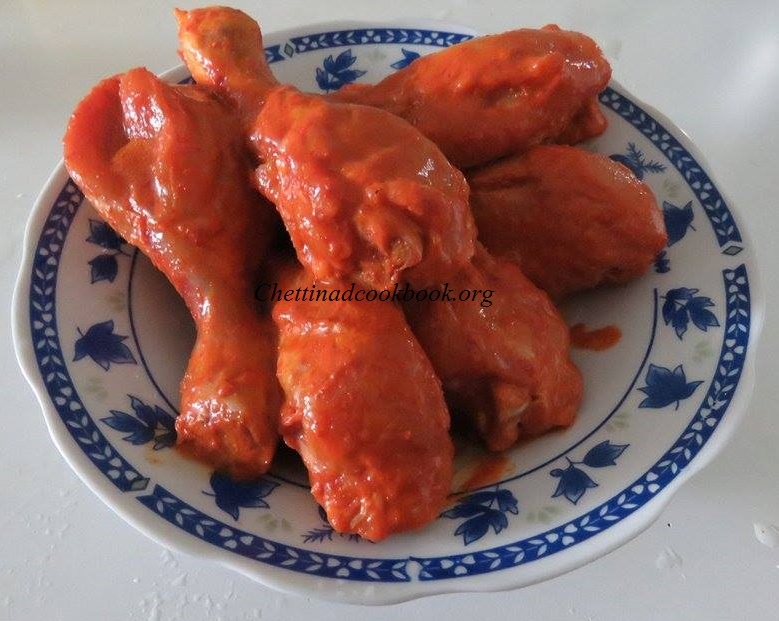 Note: This marinated chicken can be fried in oil as chili chicken.